Part of our highly rated Naturals bait range, Multiworm has been developed using its own unique and highly nutritional fishmeal base mix. 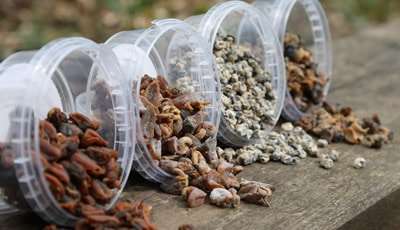 This mix is then packed full of extremely high levels of natural food sources: Earthworm, Mealworm, Silkworm and Bloodworm, along with milk proteins and other proven fish attractants and enhancers. A devastating combination of the finest ingredients, which has had amazing results in both still waters and rivers. The catch results of these baits speak for themselves. Without any arrogance, we honestly believe our baits are amongst, or actually are, the best available and will not compromise in any area of their production. With this in mind, you can be assured of baits that are designed to catch fish – a lot of fish!